You are regularly wiping the dust, constantly scurry up and down with the vacuum cleaner, polishing the floor several times a day, but you are still sneezing. Sounds familiar? If you clean your home regularly but you continue to struggle strange allergies, it is time to look for places that are most favourable for the development of harmful microorganisms. Many people are allergic to certain things in their home, without even knowing it. In today’s article, we will help you determine which areas must be cleaned more often so you can avoid allergies. Here are the places and items that thrive bacteria in your home capable of causing serious allergies and diseases. In about 70% of the pots grow bacteria that can cause different types of allergies. If you inhale polluted air all night, each morning you will wake up with a stuffy nose, dry cough or throat irritation. How to avoid all this? Basically, move as much as possible of your indoor plants from the bedroom in other rooms. Washing machines are a haven for bacteria, say researchers from the University of Arizona. This is due to the manner of swelling of dirty water and wet cracks and seals. From there fungal spores seep into clothes and fall into your body each time you log into the laundry room. To kill all bacteria, pour some bleach (or specific detergent for cleaning washing machines) and run it to work full cycle of the highest possible temperature. Leave the washing machine door open so it can dry as quickly as possible. Thus limit the breeding of bacteria is easy. No doubt the scented candles create a unique atmosphere, but it turns out they also exude chemicals that can seriously contaminate the room. 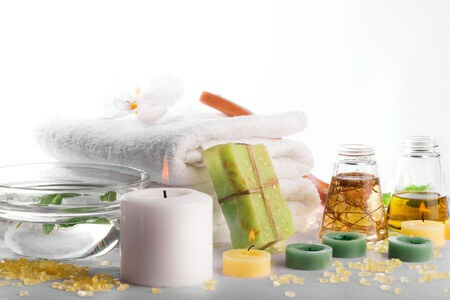 Moreover, oils that add the unique smell of wax can irritate the nasal cavity and cause fever and maudlin, even if you are not allergic to them, so try to avoid creating a cosy and romantic atmosphere with aromatic candles. Instead, place in several areas in the house bowls with dried rose petals and aromatic spices. Thrown into the closet the outerwear is an ideal environment for allergens. Much more dangerous in this respect are the woollen garments. Scientists from the University of Sydney proved that people who prefer wool to cotton, more often set off allergies. What is the solution to that matter? During the warmer months of the year store woollen clothes in plastic boxes. In the winter season wash them at least several times. According to researchers from the US Agency for Environmental Protection, allergenic microorganisms penetrate even in perfectly insulated homes. They have proved that it is more likely to suffer from some kind of bacteria at home than if you walk down the street. How to avoid this effect? Just ventilate any room for about 15 minutes daily. The fresh air that permeates the room is enough to kill germs. And more importantly to reduce allergic manifestations of your body (especially in winter) to a minimum. Another good idea is not to smoke cigarettes at home. Smoke worsens allergies, especially in passive smokers. Because it stimulates the production of inflammatory proteins called cytokines. It has been shown that it harbours 10 times more bacteria than the floor on which it is placed. 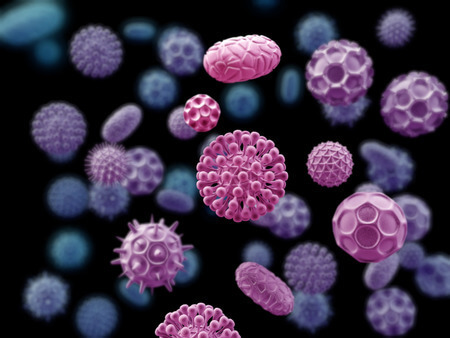 Microorganisms that cause allergies, like moisture and the bathroom mat almost never stay dry. Wondering how to clean it? Wash it with hot water once a week. Then put it back into place after it is completely dry. Like carpets, the plush toys are items where bacteria thrive peacefully. Therefore, it is good to wash them once every week with hot water. If you think a teddy bear or bunny will not “survive” this kind of treatment, then leave it in the freezer overnight. This way you will surely kill all bacteria living in them. Forget about doorknobs and toilets – most bacteria at home hiding in reused washcloths finds US study showed on in “Daily Mail”. The reason for their infectivity is expressed in their ability to retain moisture, allowing the microorganisms to multiply. No less hazardous to health are tablecloths and napkins. The study was carried out by the team of prof. Charles Gerba of the University of Arizona. They found that the coliforms which occur in the excreta and lead to food poisoning and diarrhoea, occurring in 89% of the napkins. Prof. Charles Gerba pointed out that the infection can be sown when drying hands, and before that, we have touched infected with bacteria raw meat. 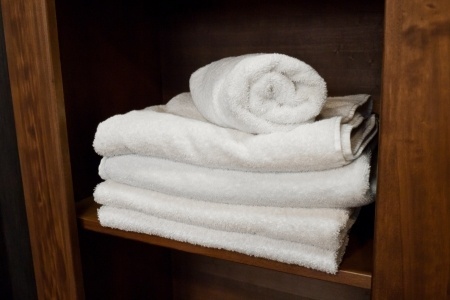 With face and hands towels in the bathroom, we easily spread among microorganisms to other family members who also use them. Here it is the most effective method of disinfecting towels, tablecloths and napkins. All you need to do is to immerse them briefly in bleach. Thankfully, Mega Cleaning has years of experience in cleaning different properties and thus you can rely on our experts to completely sanitise your home or office. You can contact us around the clock on 020 3637 7737 or send us your inquiry online. Either way, our customer support team will be happy to assist you with any questions you may have. Cleaning Tasks for Kids: How to Make House Cleaning Fun!